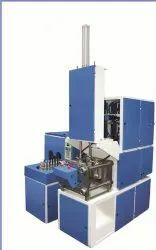 Offering you a complete choice of products which include pet bottle blowing machine, pet preform blowing machine (twin series), fully automatic pet bottle blowing machine, pet blowing machine, pet bottles blowing machine and pharma bottle blow machine. Capacity 25 to 2 ltrs. Manufactured and exported by us Pet Blowing Bottles Machines are recognized for excellently finished parts and user-friendly attributes. With the use of top-notch quality material and modern manufacturing processes, we are able to employ strength and dimensional accuracy in our machines. Furthermore, we have gained huge clients' acceptance by offering different configurations of machines at affordable price tags. Use of best spare parts from renowned manufacturers like mercury, ultra etc., ensures best product quality. 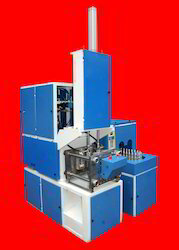 We are a trustyworthy organization offering a wide a gamut of PET Bottle Blowing Machine. We have high specialization in manufacturing and exporting highly productive Twin Series. These machines have gained well recognizance in the market for their durability and increased productivity by use of double machine production. Manufactured by using fine grade materials and cutting-edge technology, these are superior finished and sturdy in construction. 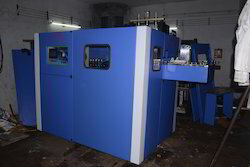 Available with us in wide stipulations, we offer these machines at equitable rates. Capacity 100 ml upto 1 ltrs. 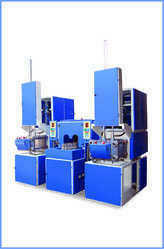 We are a trustyworthy organization offering a wide a gamut of Fully Automatic Pet Bottle Blowing Machine. Owing to our wide expertise in this field, we are involved in manufacturing and exporting the qualitative range of Pet Blowing Machine. Due to their efficient production rate with excellently finished products, these are widely used for blowing pet bottles in various bottling plants. Our utilization of premium quality materials and innovative technology has enabled us to make wide specifications of these machines as per clients' needs. We offer PET Bottles Blowing Machine. Due to our immense expertise in this domain, we are offering best quality I.R. 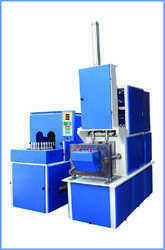 Heater Pet Blowing Machine. Widely used in bottling plants, these machines are highly durable and have high efficiency in blowing bottles with the use of infrared heaters. Our team of astute professionals designs these machines in various configurations in accordance with clients’ specific needs. Moreover, our offered products can be availed from us at the affordable price range. 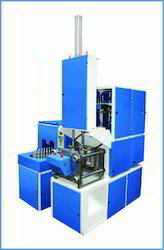 We are a trustyworthy organization offering a wide a gamut of Pharma Bottle Blow Machine.